CrossOver Kiosks for Pop-up Displays. Exhibitsusa. Designed specifically for pop-up display booths, CrossOver kiosk kits allow you to easily add flat-screen monitors for in-booth presentations and demos. In addition, you can customize your pop-up display with countertops, shelving, locking storage and integrated lighting. These upgrades are possible through use of a universal hinge connector, designed to attach easily to the vertical strut of virtually any pop-up display frame. 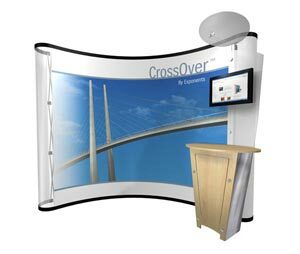 In addition, CrossOver instantly updates the look of your pop-up display booths and sets you apart from other exhibitors. 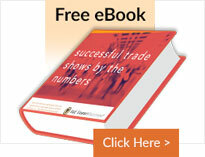 Have a question about the right CrossOver display kiosk for your needs?